Thank you so much for visiting our home on the web! We would like to introduce ourselves and provide you with some background information on how Fulcrum Dog Training came about. 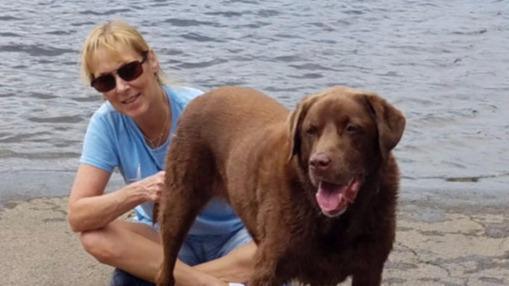 Our names are Karen Vales & Chris Warriner and along with owning Fulcrum Dog Training, LLC, we also own Camp KCS, Inc., a boarding and daycare facility in Long Pond, Pennsylvania. Throughout our careers, we have had the opportunity to interact with countless dogs and observe their behavior. It has been our experience that while not all behaviors are undesirable, many dogs are given up or relinquished to shelters for inappropriate behaviors in the home. Having worked closely with many trainers throughout our collective 40+ years in the animal welfare field, we recognized the very real need for creating a dog training business which would serve to give dog owners the tools and guidance they need to live cohesively and happily with their dogs. We strive to educate dog owners on how to better understand and interpret their dog's behavior and then to train in a way that is not only extremely effective, but highly enjoyable for both you and your dog. Current science reveals that setting your dog up to succeed and implementing training techniques based on positive reinforcement, will not only give you the results you want, but will serve to strengthen the special bond you share with your dog. 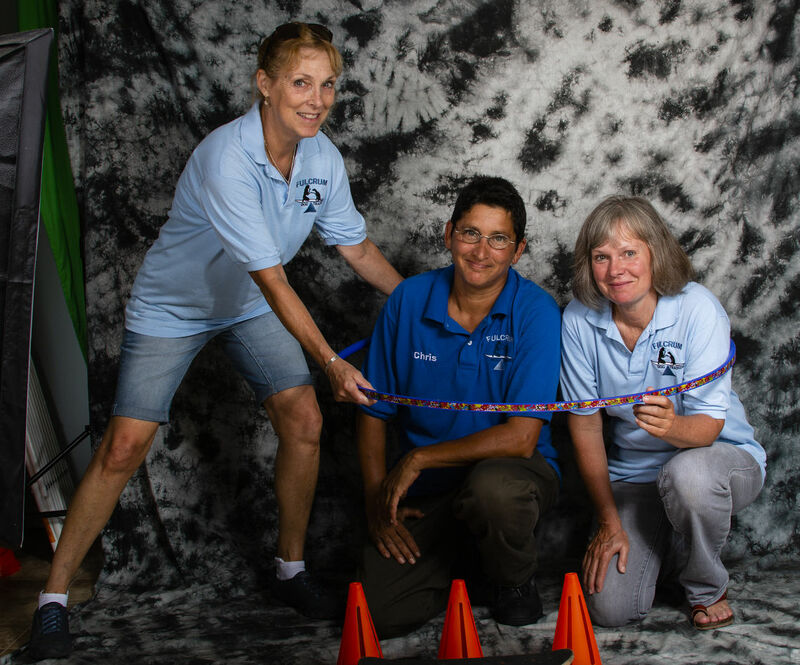 One of just 3 dog behavior consultants, certified through the IAABC in Pennsylvania within a 50 mile radius, Meg's interest in professional dog training was sparked almost 25 years ago when she became a puppy raiser for a dog guide school. After raising 9 puppies, she began to search for kinder, gentler and more effective ways to train. She also developed an insatiable desire to understand how dogs learn and function. Positive training methods, based on the science of behavior, were just beginning to emerge and Meg knew it was exactly what she was looking for. Chris went to school in Philadelphia and pursued many job interests. 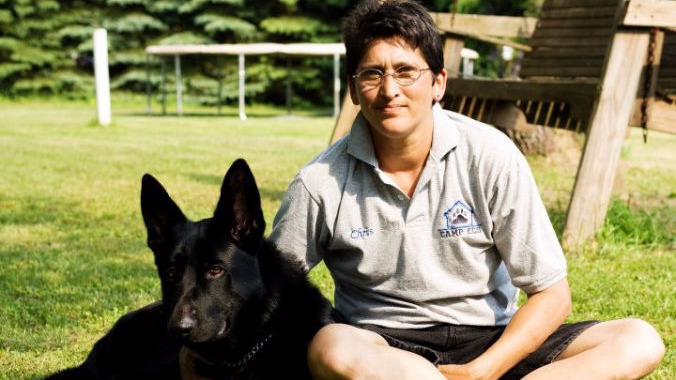 She then decided to move to the Poconos where she discovered what she really enjoyed doing, was working with animals and now has over 26 years in the animal care field. With no knowledge of veterinary medicine, she started working for a local veterinarian who taught her many skills. Then Chris had the opportunity to further advance her emergency medical skills by going to work for a 24 hours emergency hospital, where she stayed for six years and then decided to pursue opening Camp KCS, Inc,, where she has been for the last 19 years and is still currently working for a veterinarian as well. Chris really enjoys learning and teaching pet owners how to understand their dogs. While she has known Meg our head trainer for over 20 years, it wasn’t until recently that we approached her about joining forces to create a business that could help all dog owners. We are all enthusiastic about this journey and hope that we can pass on the knowledge we all have acquired over the years. In addition to this, Chris has completed my CDTI (Certified Dog Trainer & Instructor) and will continue to learn and develop her knowledge of animal behavior with the help of Meg. Karen graduated high school in New York City and then trained as a laboratory technician at Advanced Career Training. She then went to work at Oradell Animal Hospital in New Jersey for 2 years as a laboratory technician. 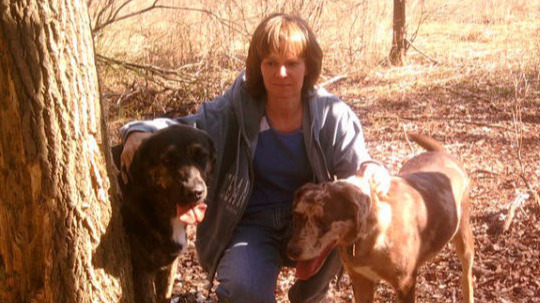 In 1992, she moved to Pennsylvania, where she worked for 8 years as a veterinary technician at Creature Comforts Veterinary Service and now has over 26 years in the animal care field. Karen has two children and a tremendous love for animals and always has their best interests in mind. After 8 years at Creature Comforts, she decided to open up a business catering to animals, where she has been for the last 19 years. Her knowledge of animals and their behaviors, coupled with her keen observation skills, allows Karen to easily read them and accurately know what they are trying to communicate.